Stop Forest Service Chopping Sprees Before the Big Trees Are Gone! Now is the time to end industrial-scale old-growth clear-cutting in the Tongass National Forest before most of the big trees are gone. Recent U.S. Forest Service old-growth logging plans in the Tongass National Forest are ludicrous. Despite objections from prominent scientists, the Forest Service announced it is charging ahead with Big Thorne – a timber sale that could destroy so much old-growth forest it would jeopardize the delicate balance between the people, deer and wolves on Prince of Wales Island. 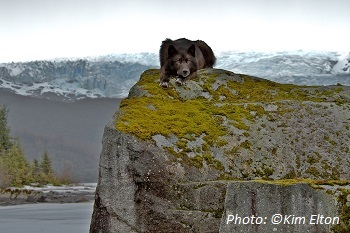 It could even put the Alexander Archipelago wolf on the Endangered Species List. Right now, the Forest Service is planning the future of the Tongass, and it’s time for the Forest Service to get its priorities straight. The Tongass is valuable to Americans for more than just timber. The Forest Service should support activities like fishing, recreation and tourism that preserve the forest, protect inhabitants like the wolf and deer, and boost the local economy. Tell the Forest Service to end old-growth chopping sprees before the largest of the big trees are gone.